The Kofi Annan Foundation’s Africa Food Systems Initiative (AFSI) advocates for the transformation of African agriculture to ensure food and nutrition security for all by mobilising leadership, investment, and high-level commitment. As Programme Coordinator for the AFSI, I work with projects aimed at bringing together leaders from the private sector, civil society and the political sphere to trigger cooperation that benefits farmers and rural communities. My colleague Dr. Tesfai Tecle, Mr. Annan’s Senior Adviser on Food and Nutrition Security, and I recently went on a mission to Northern Nigeria to see one such project, the Dangote Group’s rice outgrower scheme in Jigawa State. Rice is something that many people first associate with Asia, but it is also an important staple food in many African countries and a crucial part in the diets of millions of African families. In Nigeria, as a result of changing consumer habits and population growth, rice has become the most important food commodity, with an annual consumption of over 6 million metric tonnes. However, less than half of that is produced locally, leading to an import bill of approximately $1.8 billion per year. To overcome this unsustainable situation and provide a concrete solution, the Dangote Rice Ltd. aims to locally produce at least 1 million metric tonnes of parboiled rice for the Nigerian market within the next 5-7 years. Much of the required output will come from a rice outgrower scheme that Dangote recently launched. It was to see this programme first-hand and explore whether the Kofi Annan Foundation could contribute, that Dr. Tecle and I travelled to Nigeria. After meetings in Lagos at the headquarters of Dangote, we set off for Jigawa State. Arriving in Dutse, we met with the Executive Governor of Jigawa State, Alhaji Badaru Mohammed Abubakar, his Deputy, and the Managing Director of the Jigawa Agricultural and Rural Development Agency. It was good to hear that the project receives the full support of the State Government of Jigawa, as government support is crucial for the implementation of projects of this scale. Governor Abubakar highlighted that the project is helping the local economy and creating jobs, including for youth and women. In addition to holding meetings, we believe it is always important to get the views of the people on the ground; in this case, the smallholder farmers. We travelled to several farm sites, along with Dangote employees who work closely with local communities. In our discussions with outgrowers we were pleased to hear that the project has started successfully. The farmers told us that within just two cropping seasons, productivity has doubled from about 2 to 4 tonnes per hectare. This has led to increased food security and income for farmers. They also laid out some of the major obstacles they are currently facing, including a lack of access to machinery and financial services. While these challenges remain, they are by no means insurmountable. Following our tour, it became clear that opportunities exist for expanding this programme within Jigawa and several other states with good potential for rice production. Together with the Dangote team, we have identified a number of critical issues that need to be addressed: first, rice mills must be readily available at strategically important points within the project area. Second, partnerships around specific issues such as input provision or extension services need to be developed to ensure the project remains economically viable. Third, public investment in rural infrastructure such as roads and irrigation systems is necessary for scaling-up. The importance of this last point was made especially clear during our visits to the fields. I was struck by the dryness of the climate and realized just how crucial irrigation is to successful agriculture and indeed to the lives of the people living and working the land. I believe this illustrates the importance of actually seeing projects being implemented on the ground rather than only reading about them. The concepts I work with every day acquire a new, pressing relevance when I see them as I did in Jigawa. 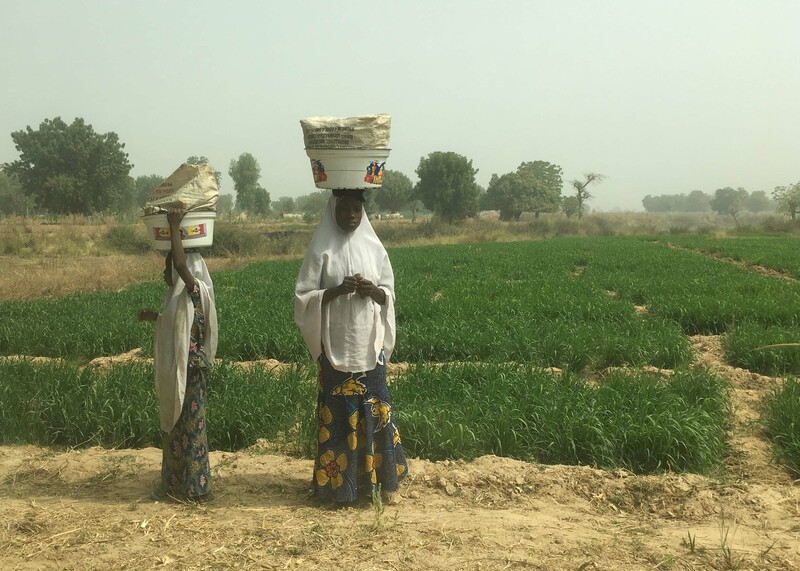 There are many reasons to be confident that the Jigawa rice outgrower scheme can become a model across Nigeria and eventually in other African countries as well. We at the Kofi Annan Foundation are looking forward to supporting our partners in Nigeria, particularly the Dangote Rice team, to help make this a success story for African smallholder-based agriculture.